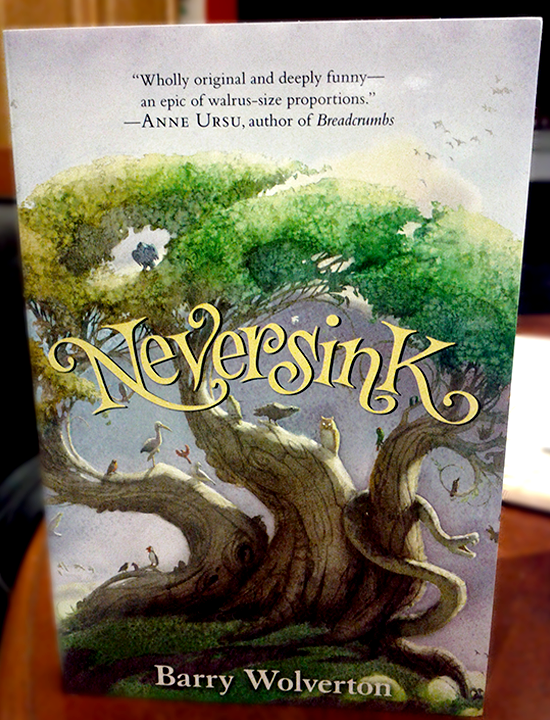 Barry Wolverton's masterful middle-grade debut, Neversink, is an epic tale of some very un-epic birds, a fast-paced and funny story of survival, friendship, and fish, in the vein of Watership Down and Kathi Appelt's The Underneath. Along the Arctic Circle lies a small island called Neversink, home to a colony of odd-looking seabirds called auks, including one Lockley J. Puffin. With their oceanfront views and plentiful supply of fish, the auks have few concerns—few, save for Lockley's two best friends, Egbert and Ruby, a know-it-all walrus and a sharp-tongued hummingbird. But all of this is about to change. Rozbell, the newly crowned king of the Owl Parliament, has long had his scheming eyes on the small colony to the north. Now Neversink's independence hangs in the balance. 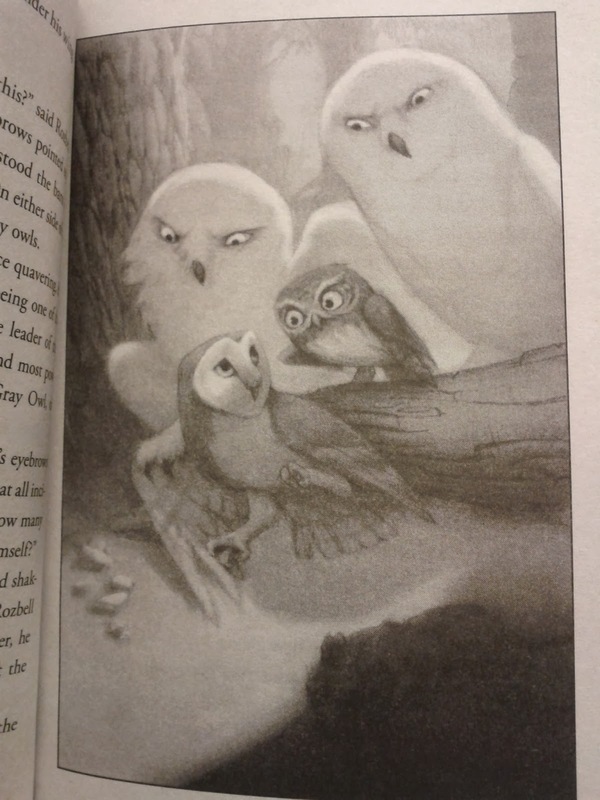 An insurgence of owls will inevitably destroy life as the auks know it—unless Lockley can do something about it. Excuse me a moment while I communicate with the Middle Grade sky Gods, and thank them profusely for the likes of mister Barry Wolverton. 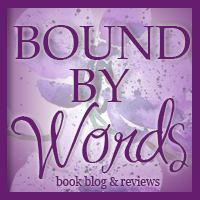 Seriously, the human talent that exists in this world renders me SPEECHLESS sometimes-and I'm left here, wondering how in the HECK my muggle words could do a fantastic book ANY justice in it's review. Dearest, and most precious Neversink..YOU were one of those fantastic books. You invoked in me feelings of yesteryear-the feelings I felt as a child, watching Disney movies, and hoping beyond hope that my favourite hero, or heroine, would beat the bad guy and save the day. Let's start with the wonderful fact that Neversink began with a map. I LOVE MAPS. Any book that begins in such a helpful way is already showing signs of gold. This map showed the islands of Tytonia (where the owls ruled), and Neversink (where my favourite birds resided), and ALL areas in between. There is nothing more satisfying than spotting an area's name within a book's narrative, and being able to flip to a map to get the visual. I won't tell you much about what follows the map, because I want you to be JUST as pleasantly surprised *cryptic grin*. Just know that it was beautiful, and clever, and helpful, and I totally would have stopped here and given it 4 ½ stars based on those two pages alone *more cryptic grinning*. Lockley J. Puffin is the name of our potential hero in Neversink, a peaceful Puffin, who, much to his chagrin, is often mistaken for a penguin. With his wife and two best friends, Egbert (a witty walrus), and Ruby (an eccentric hummingbird), he's lived a fairly routine existence, until one day, it becomes everything but. Over in Tytonia, a famine has broken out among the island, and chaos is a wing span away (see what I did there?..wing! ?..okay..moving on). The 'Owl Parliament' is not without a solution though, and soon a plan is set in motion that could shatter the harmonious ways of Neversink, and it's residents, forever. I can definitely see Neversink making it to the big screen. The art work was breathtakingly good, and added so much more depth to the narrative. I loved that Barry Wolverton took chances, that death wasn't a quick scene written behind some bushes, and then implied to his readers. There were evil characters in this book, and the tension that existed because of it set the perfect tone for the story. There were elements of mythology, and the fantastical idea that these animals enlist the help of a sea goddess to keep them alive. It was just all so incredibly thought out, so intricately aware of it's small details. I really appreciated the 'extras' at the back of the book. It answered questions I didn't even realize I had stored away in my head. If I had to sum up Neversink in one word, it would be this: clever. It was an amazing idea to begin with-who doesn't love talking animals! ?-but Barry Wolverton's writing took it to an outstanding level of good. I will keep this book until I have children, read it to them, have THEM read it, then have their children's CHILDREN read it. This is definitely a book to keep in your forever collection, and I am SO happy that I got to be a part of it. 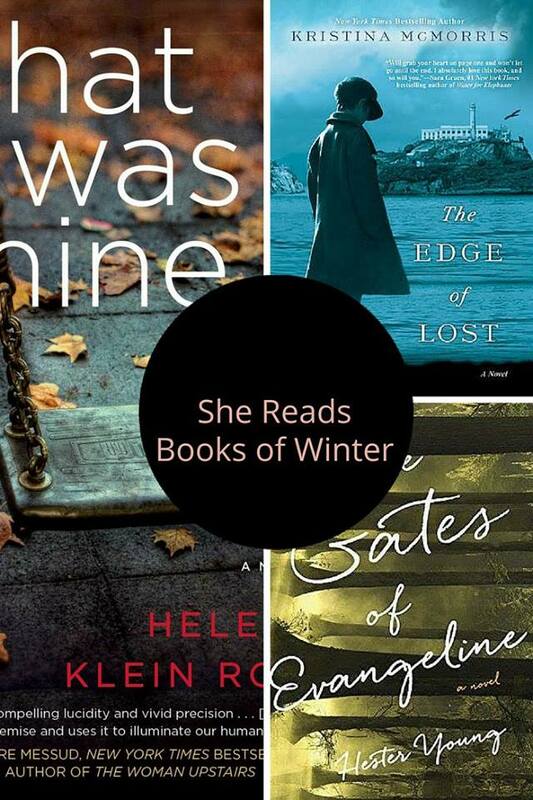 Recommended for fans of: Happy Feet, Rio, Disney movies, Middle Grade fiction, Adventure.